We fabricate an extensive array of high pressure Hose Manufacturing Machine in accordance to the industry regulated standards. These are widely used in assembling the crimp couplings into hydraulic hoses. 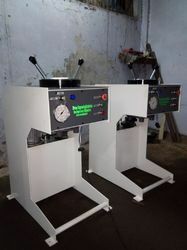 This hand operated machine can be used for a wide range of applications. 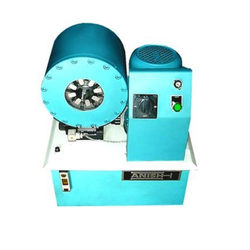 Designed to excert uniform crimping from 8 segments , this machine can be used to manufacture fuel and air lines, welding hoses, brake hoses, low pressure hydraulic hoses, sanitary hoses etc.